This Lunar New Year is the year of the Rooster. 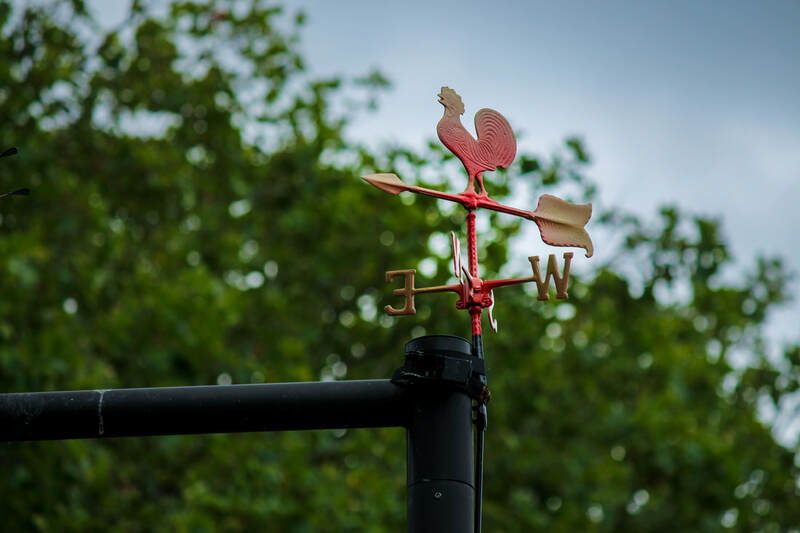 With 2017 came a new presidential term, which revealed a swift clash of disparate cultures and beliefs—stirring turmoil and violence throughout our nation. 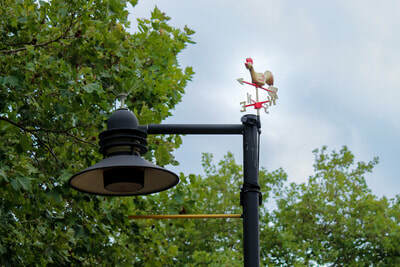 Wake Up Call incorporates foraged antique roosters and weathervanes to represent the American weathercock. 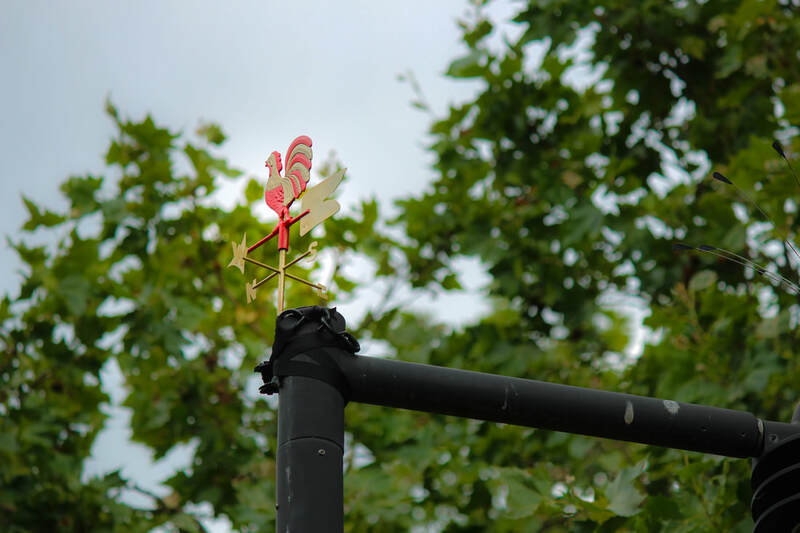 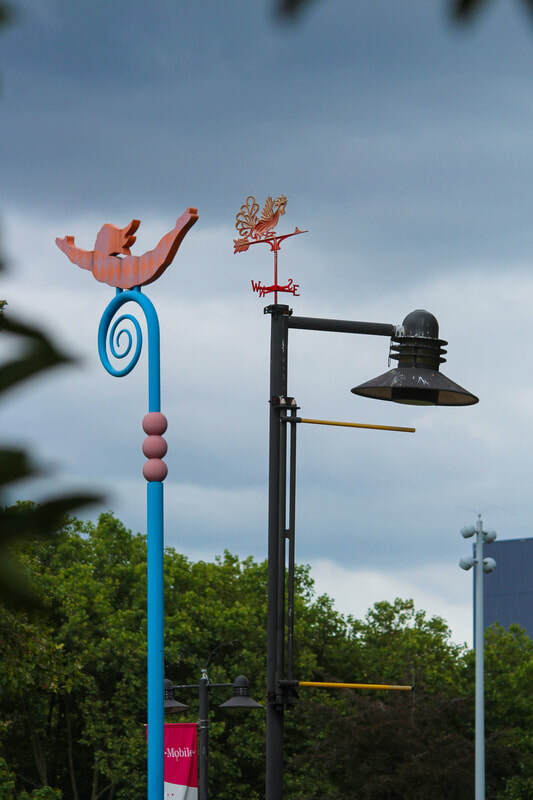 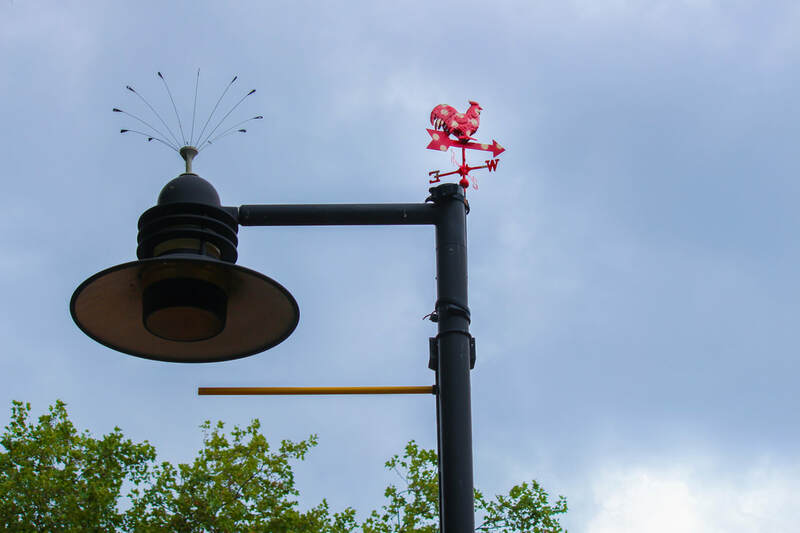 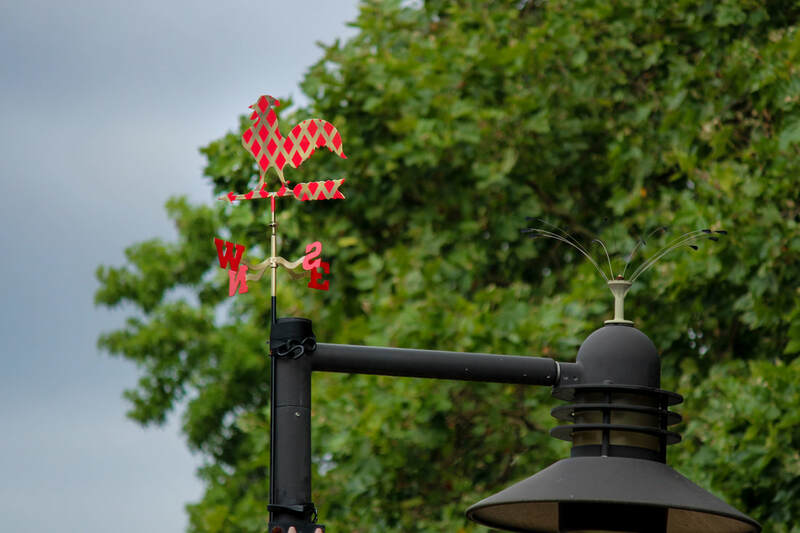 Weathervanes are instruments to show the direction of wind, typically seen perched on buildings. 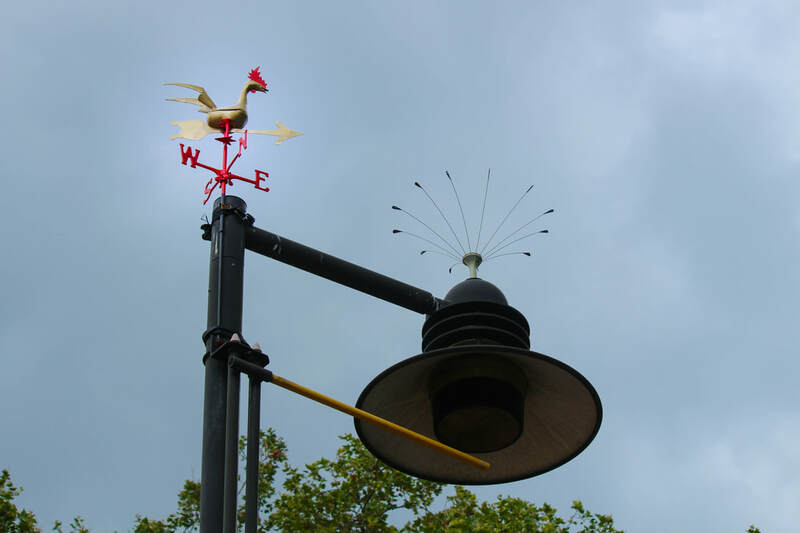 In America, you can find dense amounts of weathervanes in farming lands atop barns. A joining of my Chinese and Vietnamese heritage, the weathercock sit in red and gold (celebratory Lunar New Year colors) upon lampposts around Key Arena. 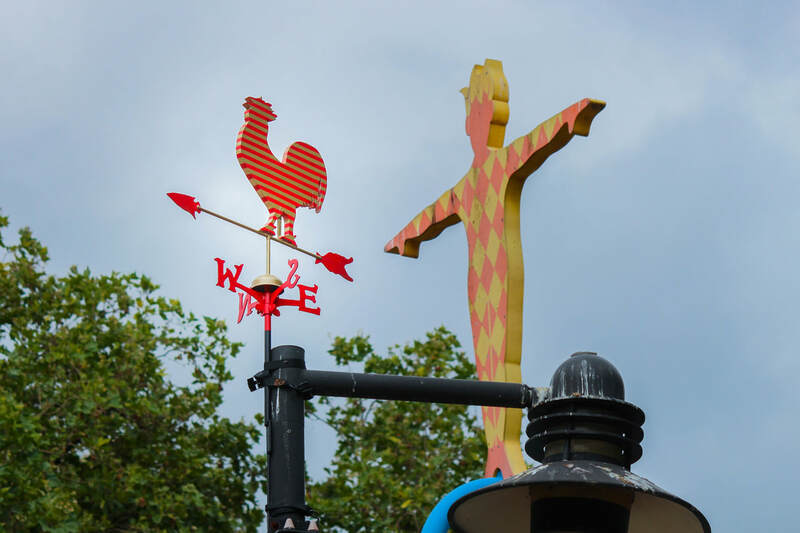 The rooster symbolizes civil responsibility, protection, and courage--notions which one should embody during these trying times.